Traditional annual performance reviews are painful to administer and do not align with the ever-changing organizational realities of businesses anymore. Reinvent your performance reviews with KPMG QuercusApp Performance for a new, forward-looking purpose: to serve as an efficient business process that enhances collaboration, coaching and drives business success. 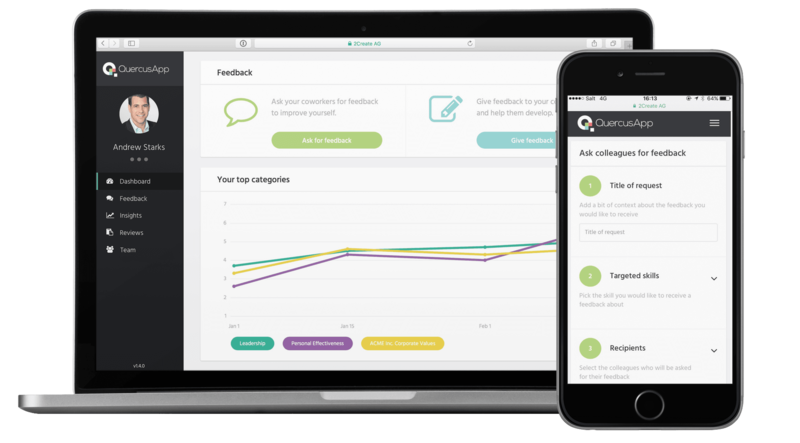 Through ongoing, real-time feedback, your employees are continuously aligned with your goals, know where they stand and know how to improve.